Shelley, Mary. 1831. Frankenstein. Dover Large Print Classics. 283 pages. Frankenstein is one of my favorite books. (And this isn't the first time I've reviewed it for the blog). It may seem an odd book to have as a comfort read, but it works for me. What is it about Robert Walton, Victor Frankenstein, and 'the monster' that keeps me coming back for more? What is it about Shelley's story that keeps drawing me back? I think, in part, it's the depth and substance. The beauty. The horror. The fact that each and every time I read it, I walk away with something new. So what did I find new this time round? What fascinated me this time? Well, the relationship between Walton and Victor Frankenstein. I don't know about you--and I guess I'm being a bit presumptuous assuming that you know the story--but I've never liked Victor Frankenstein. I've never really sympathized with him. He's a miserable fellow, but in my opinion he had it coming. Or so I've always thought up until now. What I noticed was how much Walton genuinely liked Victor Frankenstein. How he actually enjoyed his company. Wanted his friendship. Walton for those that need a reminder is a sea captain; he hopes to be an arctic explorer as well. That's why his ship is traveling North. That's why he just happens to be in the right place at the right time 'to save' Victor Frankenstein. The two men do have more than a little in common: both have stubborn single-minded ambition with a fair dose of pride. But the two men are different as well. Victor Frankenstein had it all--mostly. True, he lost his mother. But he had, at the beginning, his family and friends. His father. His two brothers: William and Ernest. His best girl, Elizabeth. His best friend, Henry Clerval. I think Frankenstein took everything he did have for granted--at least in the beginning. We don't know as much about Robert Walton as we do Victor Frankenstein. In his letters to his sister, we do know how lonely and how isolated he feels...at that moment. How much Walton longs for a friend, a companion. How much he is hurting and wanting to have someone or something fill his emptiness. Is this genuine? Or did Robert Walton choose to leave his family and friends much like Frankenstein did all in the name of would-be-glory? How close is Walton to his sister? Are there others he was close to at one time or another? What did Robert Walton see in Victor Frankenstein that I don't? What did he see to admire? to love? to respect? What was it about Victor's brokenness that touched Walton's soul? Did he recognize himself in Victor and his story? Did he realize that he could one day share Frankenstein's fate if he didn't curb his ambition? What did he take away from the story Frankenstein told? Did he see it as just a tragedy, or did he see it as a warning as well? There are three points of view in Frankenstein. The frame of the story is Robert Walton's correspondence with his sister, Mrs. Saville. 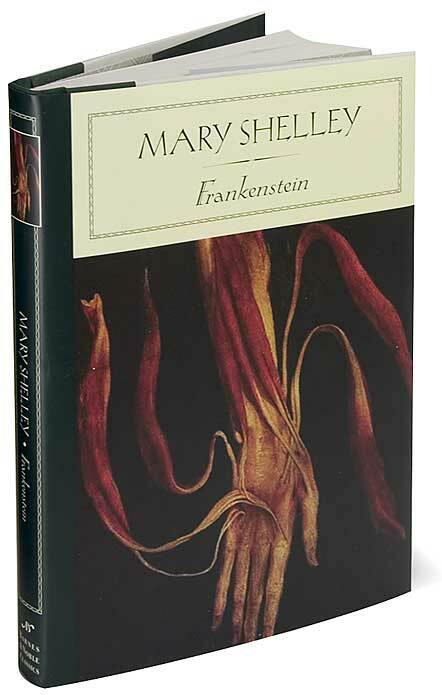 Most of the story is told via Victor Frankenstein himself. (Albeit Robert Walton's recording of said story.) In a handful of places, 'the monster' or 'the creature' or 'the being' speaks for himself. But only once is that done directly--when the monster speaks to Robert Walton. The rest of the time the monster's point of view is embedded in Victor Frankenstein's story. Frankenstein telling Walton what his conversations with the creature were like. In my previous readings, I've only ever sympathized with 'the monster.' I loathed Victor Frankenstein. Saw him as the only true monster. But in the past two readings, I've expanded my heart a bit. Began to see Walton as a blend of the two extremes: he had the ambition of Victor Frankenstein and the longing soul of the monster. Now I can't say I understand Walton. Being an arctic explorer, going out into the great unknown (the frozen unknown), seeking to be the first, to be the best, having that determination and drive to be 'the one' is something that is beyond me. (Historically, I think it works. I think in the nineteenth and early twentieth century there were many little boys who wanted to grow up to be explorers--both in the Arctic and Antarctica.) But the biggest surprise of all was that in this last reading of the novel, my heart began to thaw even for that meanie Victor Frankenstein. Alas! why does man boast of sensibilities superior to those apparent in the brute; it only renders them more necessary beings. If our impulses were confined to hunger, thirst, and desire, we might be nearly free; but now we are moved by every wind that blows and a chance word or scene that that word may convey to us. We rise; one wand'ring thought pollutes the day. Have you read Frankenstein? What did you think of the three main characters? Who do you sympathize the most with? Do you think that Robert Walton "gets it" in the end? Do you think he is a changed man? I most definitely sympathized a lot more with the creature than with Frankenstein, but in the end I felt sorry for them both. I like the point you made about Walton. I think we are perhaps meant to see Victor Frankenstein's story as a cautionary tale that changes him, but what I find the most interesting is how relevant the question of whether these men went too far in their quest for knowledge still is today. I should really re-read Frankenstein. I remember loving it but not a lot of the detail. I have never read the book(that's why I didn't dare read your entire review) but I have a copy on audio that I'm going to listen to sometime in the future. Nymeth, you're right, of course. The book is so very relevant. I think it will always be so because it's about meaning-of-life stuff. Or as I like to tell my mom "It's a book about what it means to be human." Chris, you *should* reread Frankenstein at some point!!! By the way, I'm trying so hard to read A Monster's Notes. I don't want to give up on it because I want to beat it. I don't want it to be "the ultimate unreadable" book...but it's pushing my patience!!! I only know if I spent money on it, I'd want a refund. Is that awful of me??? I don't know which audio production you're considering, but I've subscribed to The Classic Tales podcast and he's just getting ready to finish up Frankenstein. I think it's been the past seven weeks. I've waited to listen to it so that I could have it all at one time. Ceri, I find Frankenstein so fascinating. I think I could write a hundred essays on it and never get tired of discussing it :) Which is not something I'd say about any other book :) I'm so glad you love this one too. Oh man, you're making me think I should reread this. You know, give it another chance. Am I the only person who doesn't like this book? Becky, there is a certain comfort in rereading the classics. It has been too long since I read Frankenstein. I have a tattered copy somewhere, and it's probably high time for a reread. Maybe I will also sympathize with the other main characters. There are so many important themes in this book, and it's hard to believe that the author wrote this before she was 20 years old! I think the wonderful thing about this book is how heartbreaking it is on both sides - the maker & the monster. My 17-year-old son just finished reading it for the first time & it's on his list of favorite books. It's just so very beautiful. I have not read Frankenstein in ages. Now I really want to pick it up again and check out the mystery...why did he like victor? I will be reading Frankenstein very soon, so excited! I too have found that I am drawn to different characters upon rereading a book. That can only be a good thing! What a fantastic review! It has been a looong time since I've read this book and you've convinced me that not only do I need to read it again but that I need to look at it in a different way. I love your description of how you have come to view Walton differently. "It may seem an odd book to have as a comfort read, but it works for me." I agree with Nymeth, I felt sorry for the both of them. Ambition blurred the boundaries of ethical and unethical and that ultimately ruined everything. The lesson is just as relevant today as then. It's a great book and one I need to read again sometime soon.